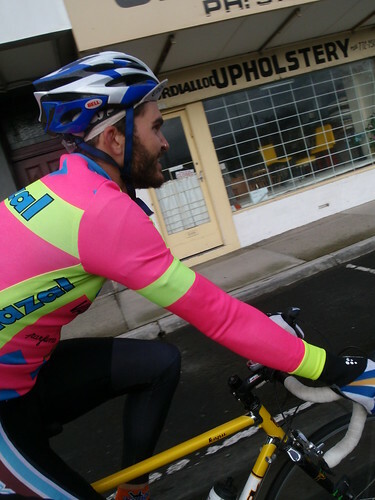 Used the NRR to get Campbell and myself down to Mordi, then we kept going on down to Frankston. Without really thinking we did the Hellride loop. Despite Campbell's outrageous jersey it was a nice ride. A couple of efforts on the rolling hills back along beach road, but generally just rolling out the kms. I got a flat around Chelsea, it's been a while, but the joy of inflating with a tiny pump is still the same.